Congratulations to Dr Patrick Canning, who carried out his research at the WVI on cost effectiveness for during EVAR, and rEVAR, and who won best poster presentation for clinical research at RAMI Intern study day, Sat 27 January 2018 in the Mater Misericordiae University Hospital, Dublin. His research was in predictive scoring post EVAR. Dr Canning is currently on an academic track internship in St. James's hospital, Dublin, which is a new scheme for interns in the country. This scheme is unique in that interns are allowed protected time to do research. Chairman Prof Sherif Sultan, senior postdoctoral fellow, Dr Edel Kavanagh-O'Carroll, senior registrar Mr Wael Tawfick and medical student, Ciara Ryan attended this years symposium. 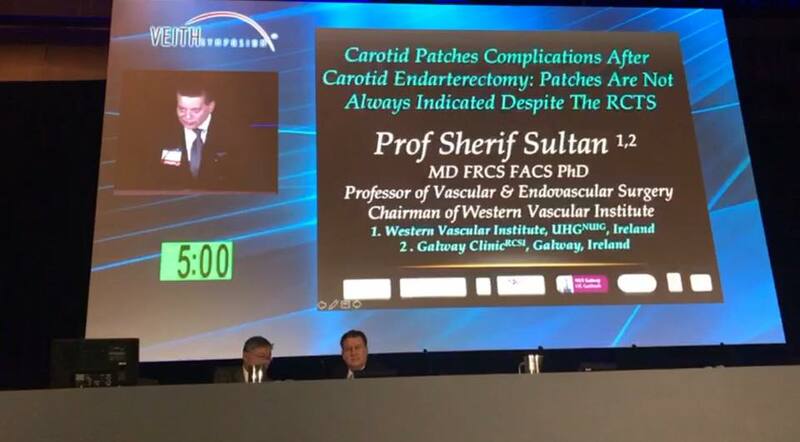 Prof Sultan spoke on a number of topics including repair of ruptured AAA, home treatment for CLI, statins, the flow modulator technology and patching during carotid surgery, which were all well received. 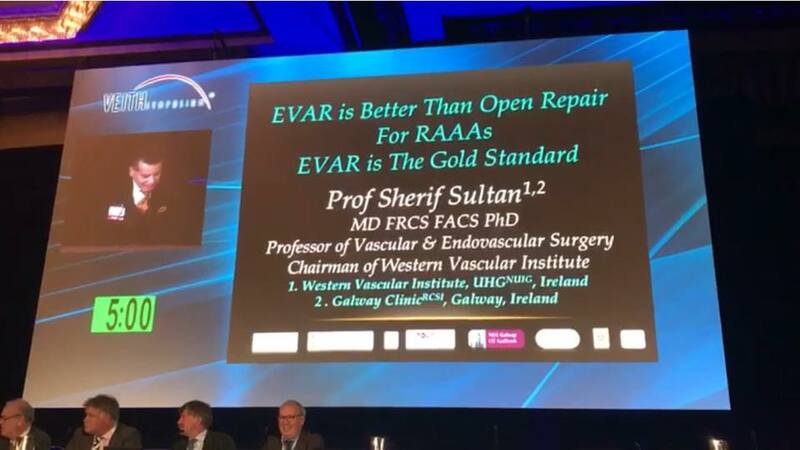 Prof Sultan debated on the topics of Statins and EVAR for ruptured AAA. This year saw a successful associate faculty presentation line up. 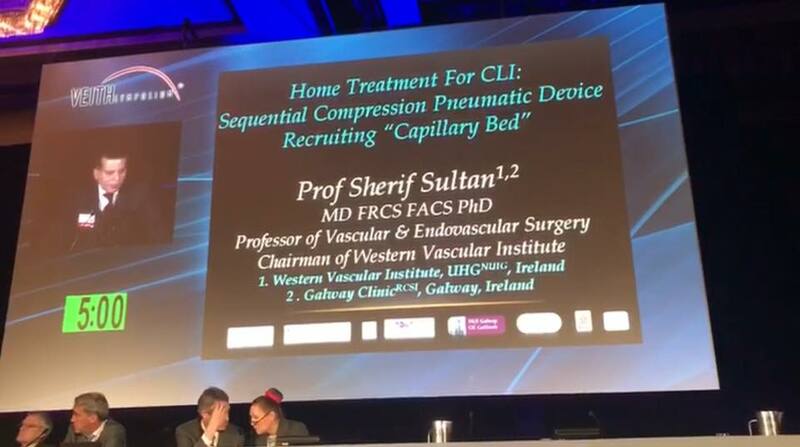 Dr Kavanagh discussed the flow modulator technology, while Mr Tawfick discussed outcomes from carotid patch infections. 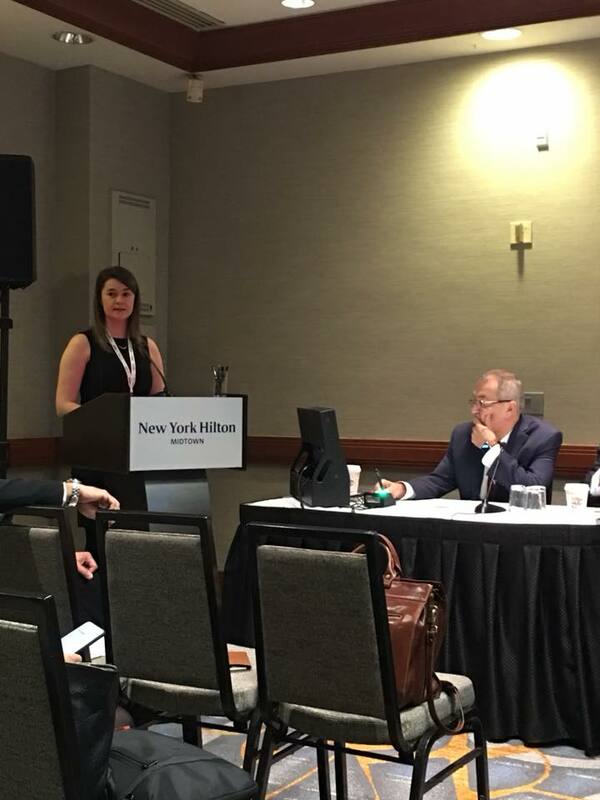 Congratulations to Ciara Ryan, medical student in the National University of Ireland Galway who received the medical student award for best paper for her presentation on contemporaty bypass surgery. This year also saw the publication of the second abstract supplement. The Western Vascular Institute are hosting an exciting Thoracic Aorta Masterclass in the Galway Clinic, August 31, 2017, in conjunction with this years Sir Peter Freyer Surgical Symposium. World renowned vascular surgeons and interventionalists will share their ground breaking work with trainees. There will also be training simulators on the day, which will be headed by leading consultants. This masterclass is a Royal College of Surgeons (RCSI) approved educational event for Continuing Profession Development (CPD) points, and has been approved for 8.0 CPD credits in the EXTERNAL category. To receive your CPD points, please download the Event Evaluation Form here, and drop this to the registration desk after the event. Don't forget to submit an abstract to this years ISVS/VEITHsymposium Global Podium Presentations. 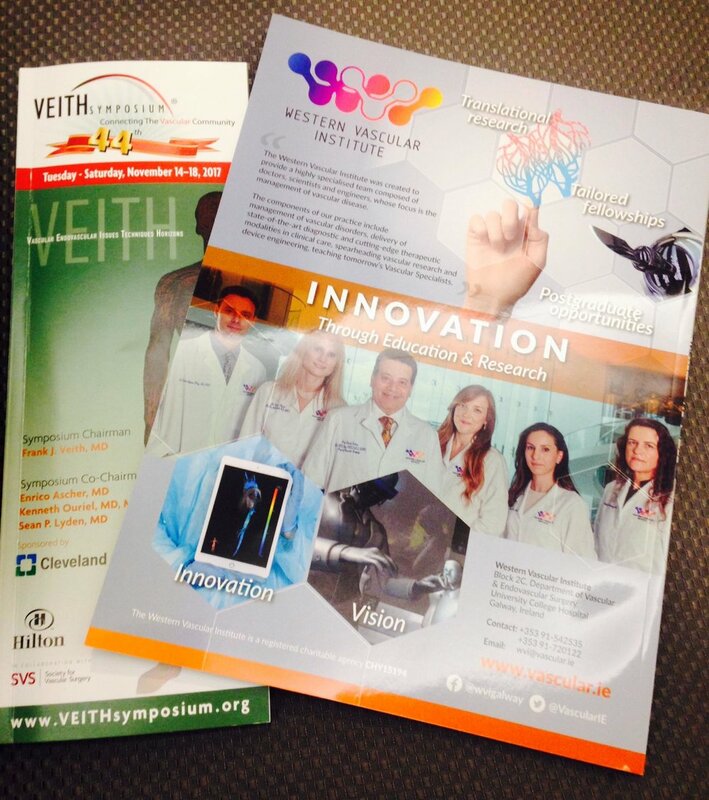 Accepted abstracts will be published in the VEITHsymposium 2016 supplement in the journal VASCULAR. DEADLINE for submission: September 16, 2016.